A good light is a crucial piece of diving equipment, so it pays to spend a bit of time thinking about the type of diving you want to do and the sort of light that youâ€™ll need. Here at Wreck and Cave, we recommend canister lights as a primary light source. Any time that youâ€™re going to rely on a primary light, for example on a night dive or a cave dive, some form of backup light is essential. Thereâ€™s more detail on redundancy here, but essentially we need a simple backup light. Scout backup lights fulfill that role very well. Wreck and cave offer a range of lights, with burn times from 2 to 6.5 hours, and a choice of either 10W or 18W High Intensity Discharge bulbs. 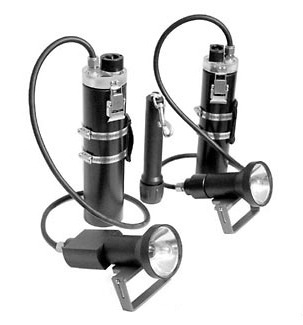 Contact us directly for advice as to what light would best suit your diving and your pocket.